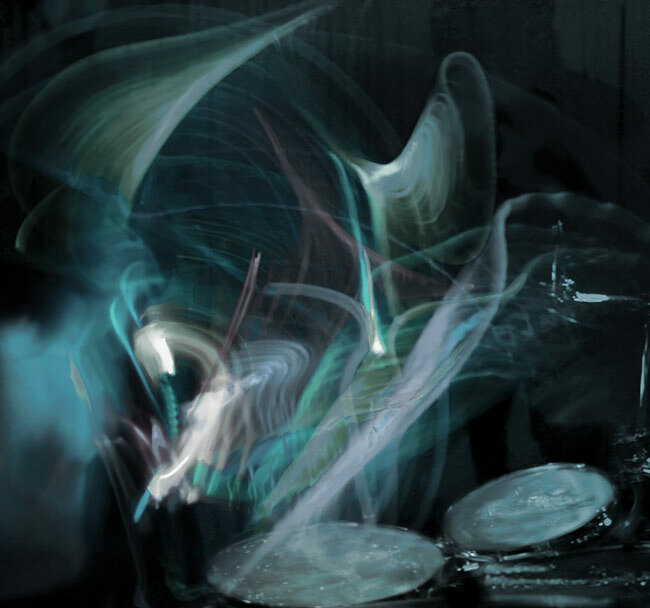 Captured from the side of Duplantier's drum kit, Encre et Movements is a work featuring a unique color palette of monochrome green and teal. 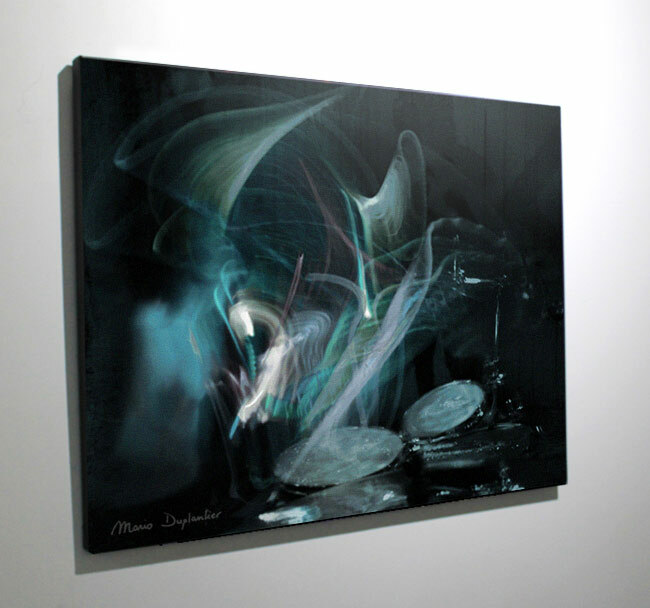 Viewers will note Duplantier to the left side of the canvas and the drums featured along the bottom of the visual. Measuring 40"x 30" on canvas, there are a total of 25 pieces in the edition. All are numbered and individually signed by Mario Duplantier. Each canvas ships with Certificate of Authenticity from SceneFour.